Two lives intertwined on a tiny archipelago island for one steamy summer affair. Biographer Melanie has spent her life in the shadow of a single question: Why did her father abandon her? When he unexpectedly dies and leaves her his cabin in the Stockholm archipelago, Melanie heads straight for Sweden, looking for answers. But island life isnât what she expects, and neither is her new neighbor, Henrik. Simmering under the surface of this reclusive man is an intensity he's locked away... until now. Together they try to piece together the story that both tangles their lives together and pulls them apart. While Niklasâs darker side draws her to him, she knows the sensible decision is to move on from Stockholm before she gets too attached. Her time in Stockholm is running out. She must choose between what is safe and what her heart tells her is right. Is she strong enough to take the risk? 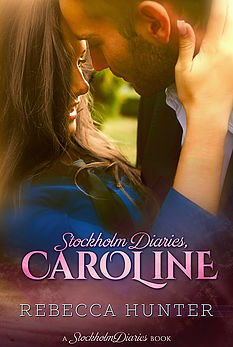 After a summer together, Niklas and Caroline face a turning point. Familiar territory opens old wounds they can no longer avoid. They must both choose what is most important. 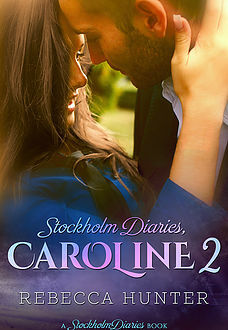 This is a full-length, stand-alone episode in Caroline and Niklasâs relationshipâ¦ but their journey is best enjoyed if you start from the beginning of their story, Stockholm Diaries, Caroline. Rebecca writes emotional, sensual adventures of the heart. She is a writer, editor and translator who has always loved to read and travel. Though she earned a Bachelor's in English and a Master's in English Education, most of what she learned about writing romance has come from other sources.